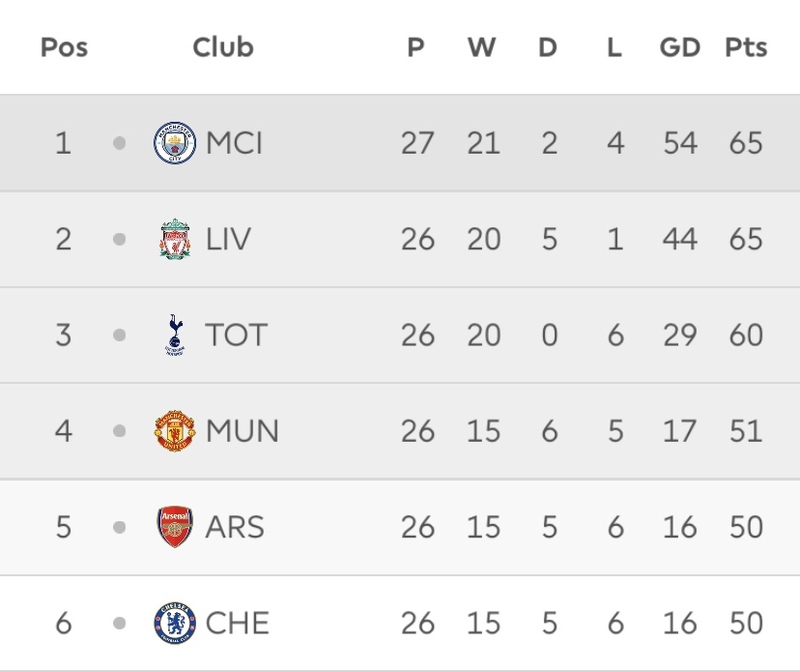 Just looking at the table there’s nothing in it mathematically for 4, 5 & 6 and if you’d said at the beginning of the season spurs would be level on wins (city’s game in hand aside) with the top two teams I’d have called bulls***!! 12 games to go. I suspect that Spurs will only have the league to concentrate on after the Dortmund games which I hope we can use to our advantage. A good season for your lot. Shame about the Kane injury against us! 36 points to play for yet. Anything can happen. Baz, you need to get your job application in. Surely couldn't do any worse than these clowns? Perhaps he should have used that spare time getting a real driving licence. snotty and Poptop2 like this. TBH that game showed me how good a team we actually are for the first time in a couple of years. Spurs had to work so hard to get at us ( which they did second half, well ) but the kane injury signified how tired he was and how hard he had to work that game, as we all know injuries occur when you're body is worn out from overdoing it. I did feel for him though, he's a good hard working striker! Poptop2, snotty, crossy2112 and 4 others like this. art b, Meltman, snotty and 3 others like this. I was hoping Chelsea would do Liverpool a favour - now I don't want to go to Chelsea. crossy2112, Poptop2 and Barry Haynes like this. Give Jose another chance, Baz. He’s working down our local tyre place fitting exhausts. Looks very unhappy. crossy2112, Poptop2 and Jack Tatty like this. So do the rest of the staff!